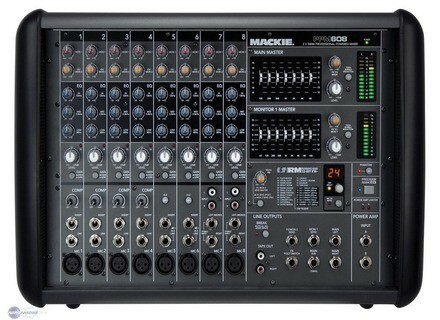 PPM608, Powered Mixer from Mackie in the PPM series. Mackie Announces New Line of Powered Mixers— the PPM608, the PPM1008, and the PPM1012. Each model features Mackie Class-D Fast Recovery ™ Amplifiers, which Mackie says, are cooler running and more efficient than their predecessors. Including Mackie preamps, 2 built-in DI boxes, 3-band Active EQ, and in-line compressors. The new onboard 32-bit RMFX+ effects processor has a set of Mackie reverbs, choruses and multi-tap delays. The PPM608 8-Channel, 1000W powered mixer includes 8 Mackie mic preamps, 48V phantom power and 6 TRS inserts. The PPM1008 8-channel powered mixer provides 1600W of power, 8 Mackie mix preamps, 48V phantom power and 6 TRS inserts. 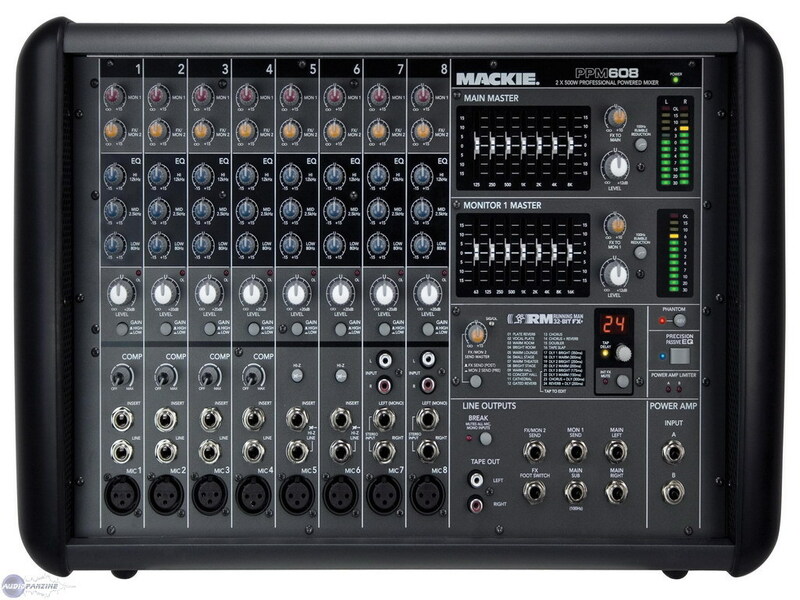 The PPM1012 12-Channel Powered Desktop Mixer features 8 mic/line mono inputs and 2 stereo line inputs... all the features of a Mackie mic/line mixer, with the added benefit of built-in amplifiers. The PPM608, 1008 and will be available in the U.S. in late Q2, 2008 and internationally in Q3, 2008. PPM1012's availability is TBD. The PPM608 will be €629 and have a U.S. MSRP of $779.99. The PPM1008 will be €749 and have a U.S. MSRP of $939.99. The PPM1012 will be €899 and have a U.S. MSRP of $1,199.00. For more information, visit their web site at www.mackie.com. Sennheiser EM 3732 Sennheiser is now shipping the EM 3732 twin receiver with 90MHz switching bandwidth that offers automatic scanning functionality, choice of five frequency ranges, transmitter synchronization via infrared interface, and analogue and digital connection options. KME VSS 15 Multi-Functional Subwoofer The completely digital system unit VSS 15 with integrated 15" subwoofer is launched within the VERSIO series and according to its portable application only weighs 26 kg. Dynacord® Introduces The VariLine™ VL 62 The VL 62 full range cabinet (150W RMS & 122 dB max SPL) features a neodymium 6.5" woofer and a 1" compression driver mounted to a CAD-optimized 90x40 rotateable horn.